The 27-year-old was hurt after eight minutes of the Trotters' Championship defeat at Wigan on 16 March. A scan has revealed that the summer signing from Birmingham City will be out for between eight and 10 weeks. 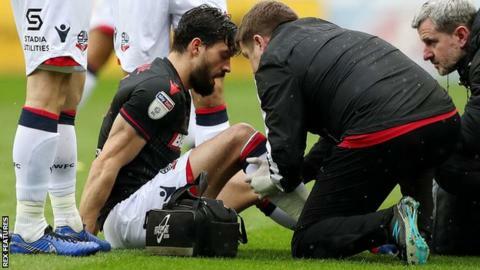 His loss is the latest blow for financially struggling Bolton, who second-from-bottom and eight points from safety with eight games left.